From the day we moved in at the end of January, when the ponies enjoyed a roll in the field, The Stable Yard, Home Farm has had a good feel about it. The move went well, with volunteers and some parents coming for the ‘Familiarisation’ session. Riding commenced, albeit not without a few ‘satnav’ problems, on 7th February. 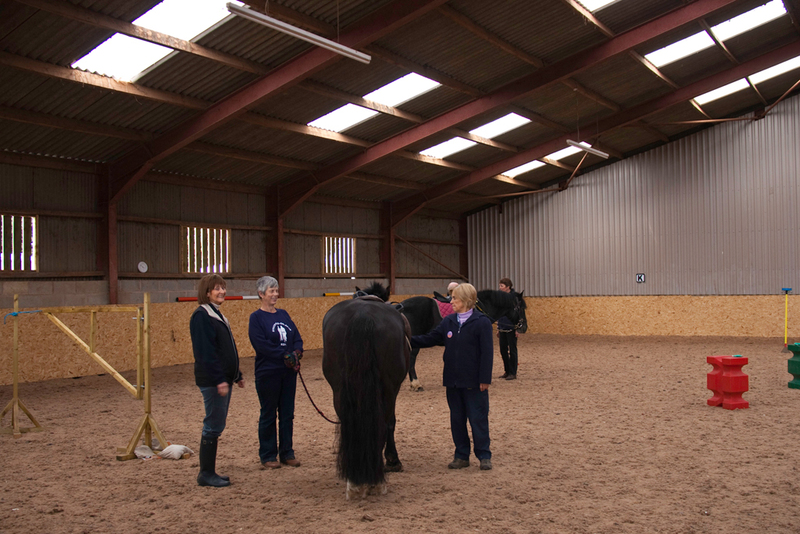 Our ponies and riders have settled in quickly to their new surroundings with the smaller arena giving reassurance and confidence. 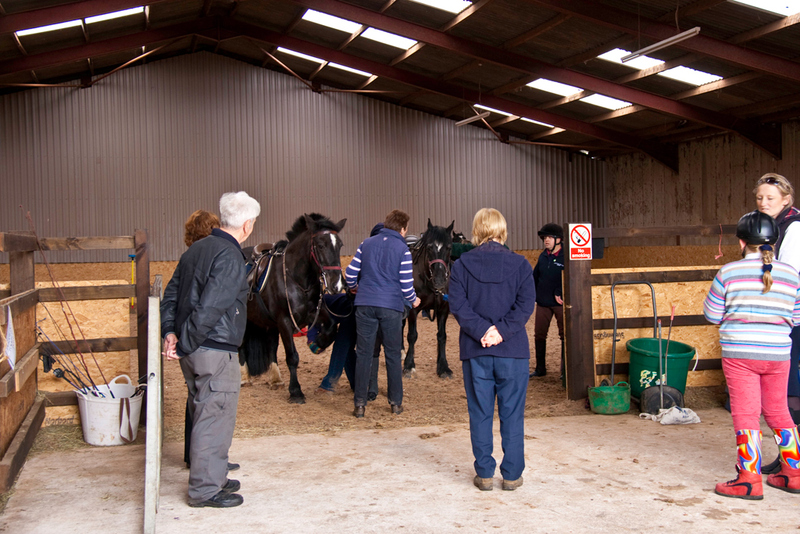 Charlotte, Matthew, Neil and Chris have progressed to riding independently and the new ponies, Foley and Bertie are proving to be real stars. Who could have predicted that we would be riding around the fields, in glorious sunshine, by the end of March – such a joy! We are grateful to Janet, the landowner, for allowing us this wonderful opportunity. We are all looking forward to the forthcoming months with, hopefully, some warmer and drier weather so that we can do more of the same. Our thanks go to Laura Dempsey, a Saddler from Kineton who came and kindly checked the fit of our saddles, free of charge and the necessary new pads have been purchased.